The Phoenix in a Gas House: DID YA MISS ME? Did you miss me because I sure missed all of you? All 11 that is ^_^. Four weeks not that long but without internet and a PC, it felt like forever. In four weeks the world fell apart and I wasn’t around to tell you about it, forgive me please. Let’s see if I can catch up (BIG SIGH) Michael Jackson is dead. The hottest place to see our local artistes seems to be the Gun Court-Bounty Killa, Ninja Man to name a few. Teflon is out of jail, thats the revolving door effect. Thieves broke into Bolt’s house when he was away being progressive. Rickards Bros. showed us the type of balls one needs to be an active participant on the Jamaica music scene with the debut of the series ‘The Last Don’. 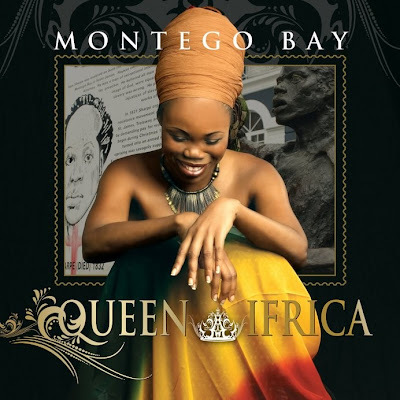 Queen Ifrica dropped her much anticipated album Montego Bay and Romping Shop made its debut on the US Top 100 Billboard R&B/Hip Hop charts at 96. Anything else, or does that just about covers it? Yes, I missed you, without your writing, how else I going know what happening out there...Glad to have you back, keep up the good work and the wonderful writing. Awwwww they like me they reallllllly like me^_^ thanks, much love man.